Posted on Thu, Mar 29, 2012 : 11:34 a.m.
One of three Democratic candidates in the race for the 55th District state House seat is withdrawing his name. After much thought, Pittsfield Township resident Bob Davidow said he has decided not to run for the seat held by state Rep. Rick Olson, R-York Township. That leaves two Democrats — Ann Arbor resident Adam Zemke and Andrea Brown-Harrison, a first-term Pittsfield Township trustee — in the running for the August primary. Olson still hasn't decided whether he will run as a Republican or a Democrat this year. He's considering switching parties after redistricting left him in a more Democratic district. Davidow said he's grateful to those who supported his candidacy, and he vowed to fully support other Democrats in November. He said he concluded he could best serve the community by focusing more on a few areas that are currently of greatest interest to him: campaign finance reform — including the effort to overturn Citizens United through a constitutional amendment, and the addition of public financing of elections — and reform of methods of judicial selection. The U.S. Supreme Court's 2010 Citizens United decision held the First Amendment prohibited the government from restricting political expenditures by corporations and unions and paved the way for Super PACs that can accept unlimited contributions. "I continue to believe that Michigan spends too much money on prisons and not enough on education and that Michigan's flat income tax is fundamentally unfair," Davidow said in a statement shared with AnnArbor.com. "I continue to oppose so-called 'right to work' legislation because such laws have the effect of weakening or destroying unions, which have been responsible for the creation and maintenance of the middle class." 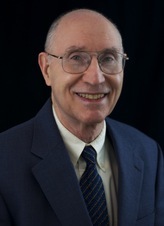 Davidow, a University of Michigan Law School graduate, is a retired criminal defense lawyer who has also taught law at several universities. He ran unsuccessfully for the Pittsfield Township county commissioner's seat in 2006. 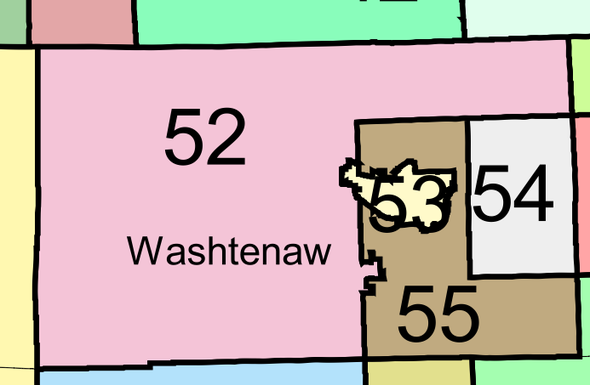 The redrawn 55th District includes Augusta Township, York Township, Pittsfield Township, Ann Arbor Township and part of Ann Arbor. Thu, Mar 29, 2012 : 8:57 p.m.
Changing parties just to get elected will not sit well with voters in the 55th. Serving Washtenaw County is a priviledge. If the you cannot get elected by being true to your beliefs, maybe you should not be in office. Adam Zemke is honest, professional and cares about serving. He has my vote! Fri, Mar 30, 2012 : 6:39 a.m.
Ms. Judge, totally agree with your assessment. Thu, Mar 29, 2012 : 8:22 p.m. Does Rick Olson think the voters in the 55th district are stupid? Does he really think that we'll ignore his conservative voting record and vote for him because he now calls himself a Democrat? Mr. Olson, don't insult our intelligence. Take Bridget's advice and get a lobbying job. That's the only way you'll still be in Lansing after January 2013. Thu, Mar 29, 2012 : 5:44 p.m.
No Democrat is going to vote for Rick Olson, the enemy of workers, so he might as well go get his lobbyist job quickly, while he can. Certainly, educators won't vote for him. Olson wants teachers and retirees to pay more so insurance company executives can get bigger bonuses and give more to Republican election campaigns, like his. Fri, Mar 30, 2012 : 3:44 a.m. Basic Bob - You never miss something to do with Pittsfield. What's up with the Hickory Pointe 'hood that's got you so down? Thu, Mar 29, 2012 : 6:27 p.m.
Wake up! Insurance company executives support Democrats, too. And they get bonuses no matter who gets elected. Take a look at Blue Cross Blue Shield PAC. The top contributions in the last national election went to Boehner (R), Stabenow (D), and Obama (D),. AIG executives gave to both parties as well.